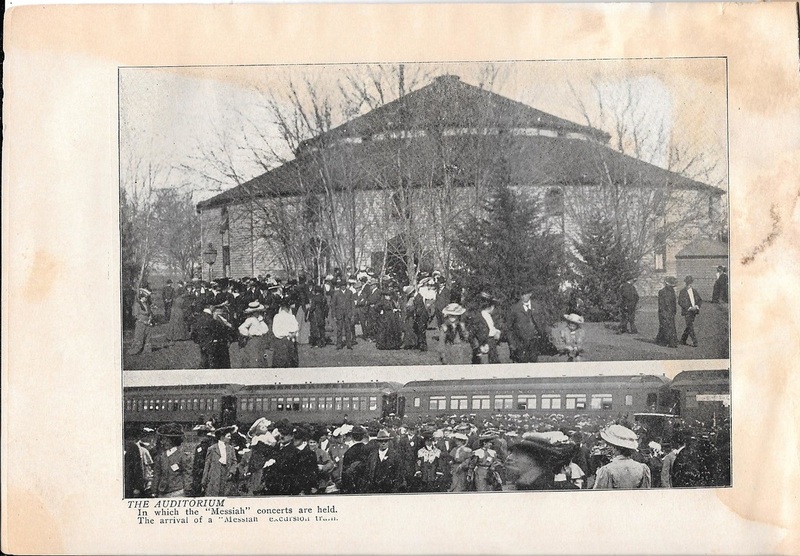 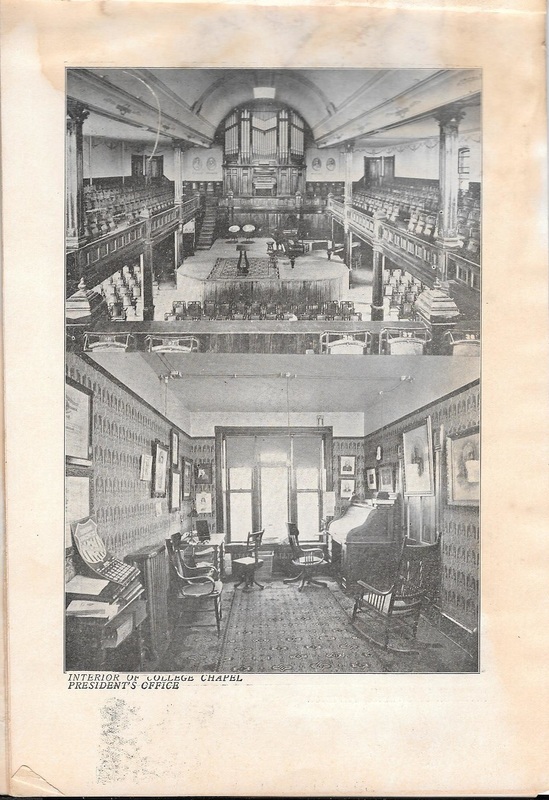 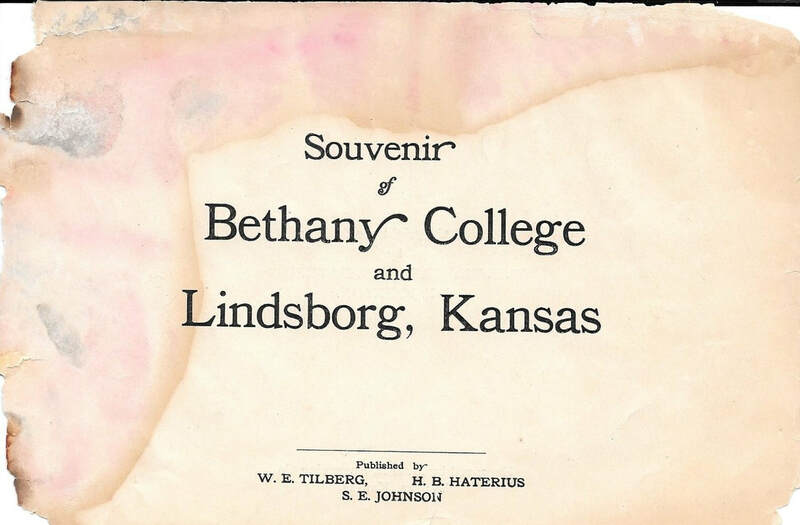 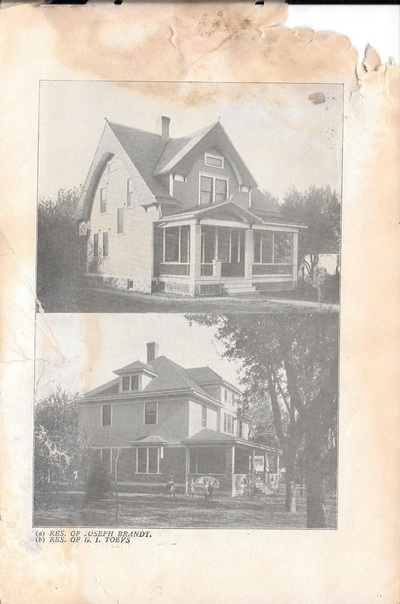 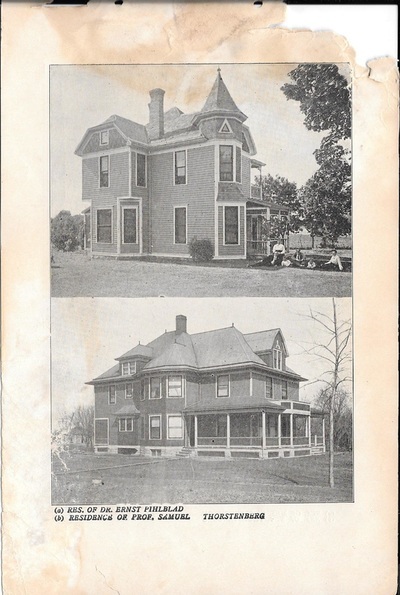 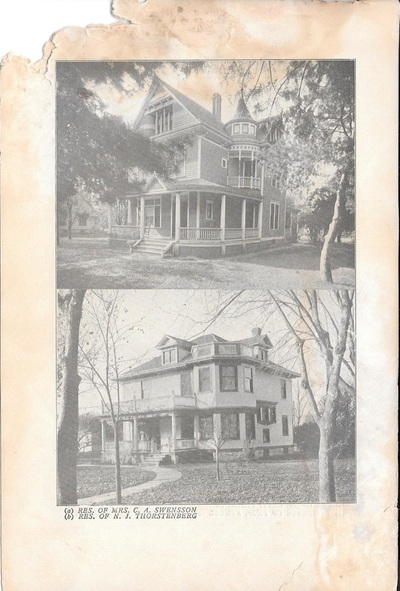 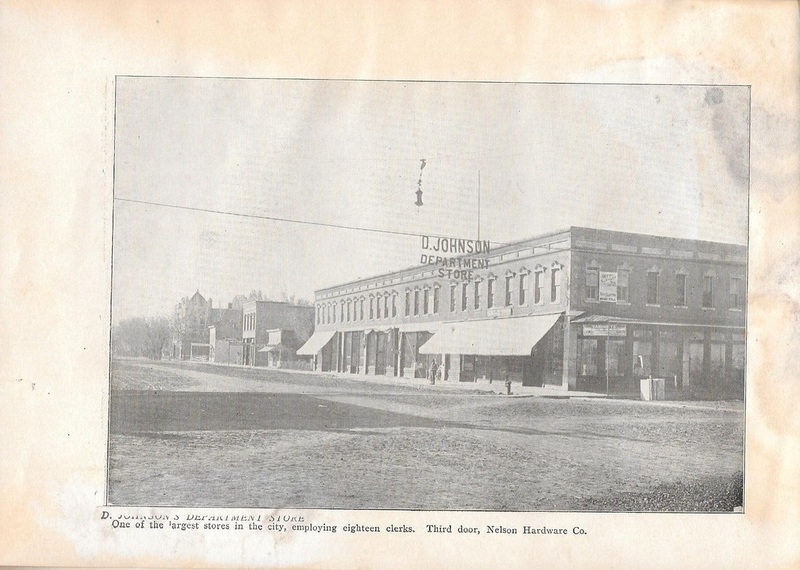 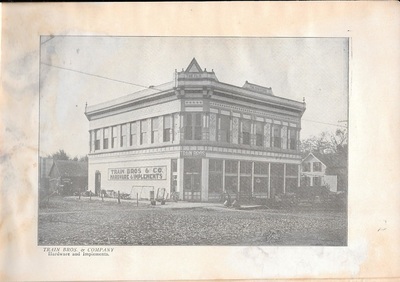 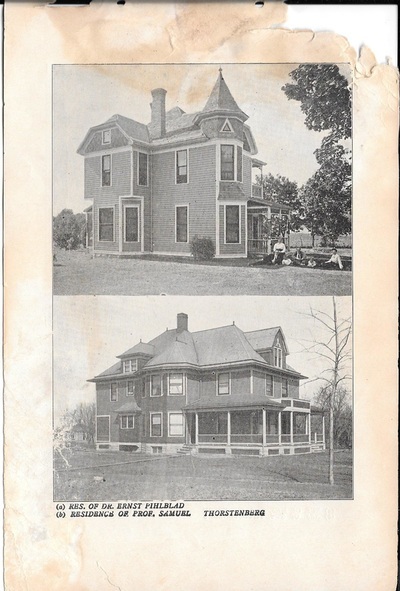 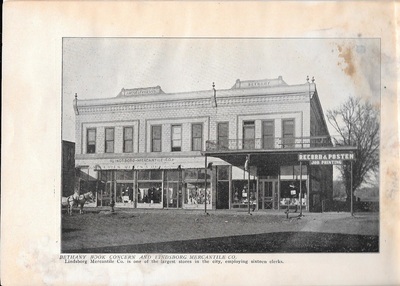 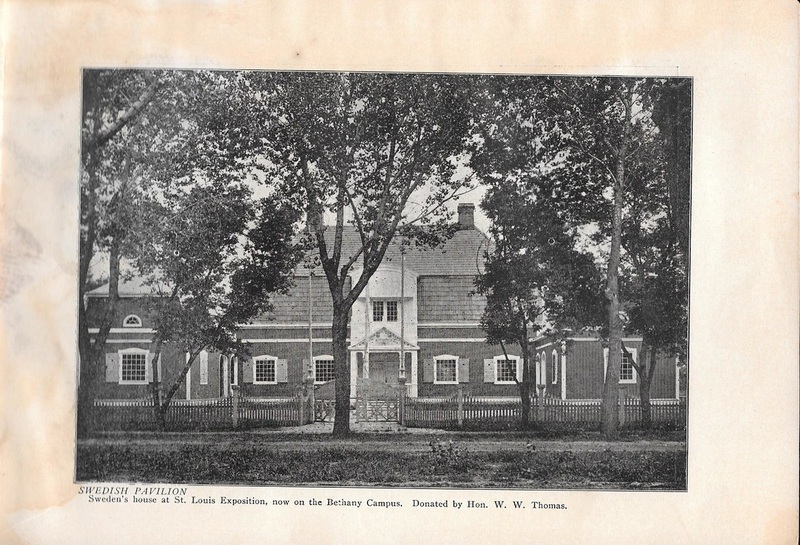 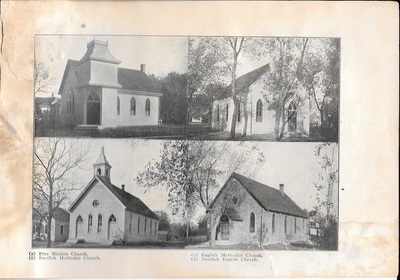 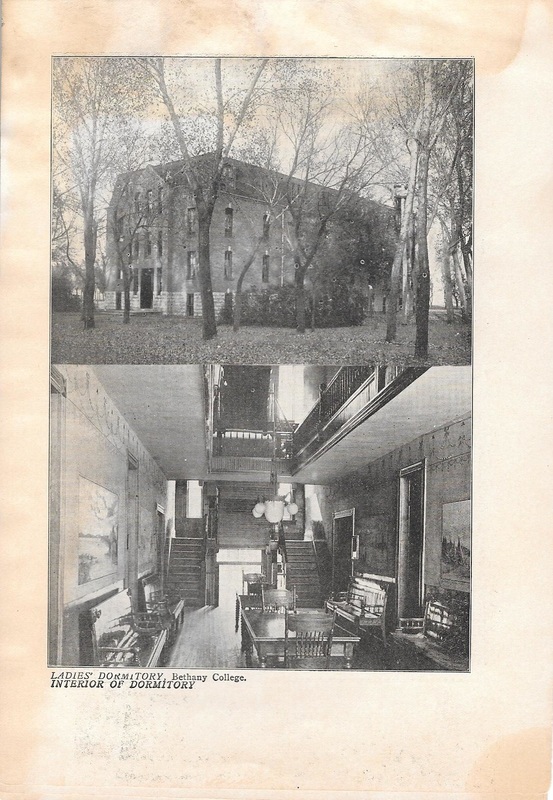 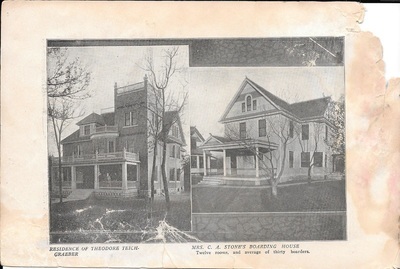 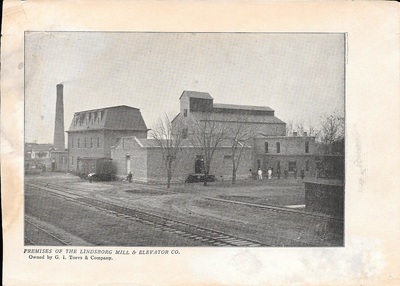 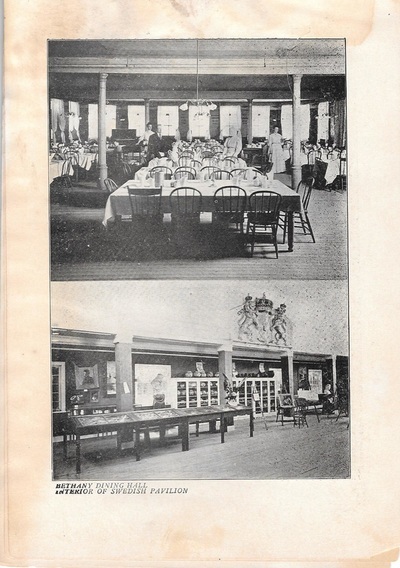 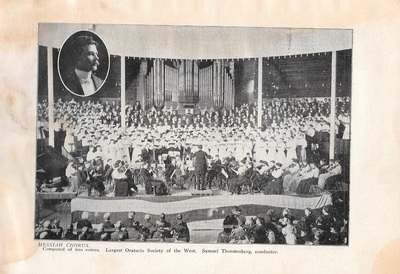 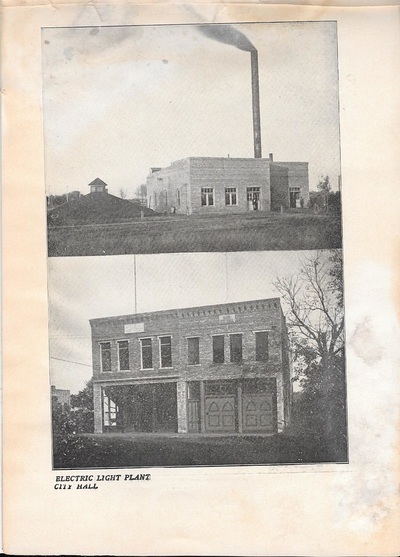 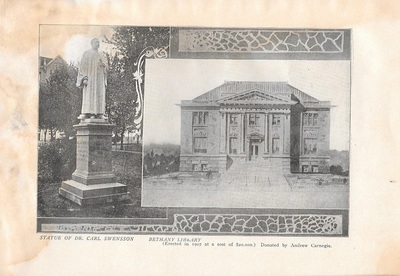 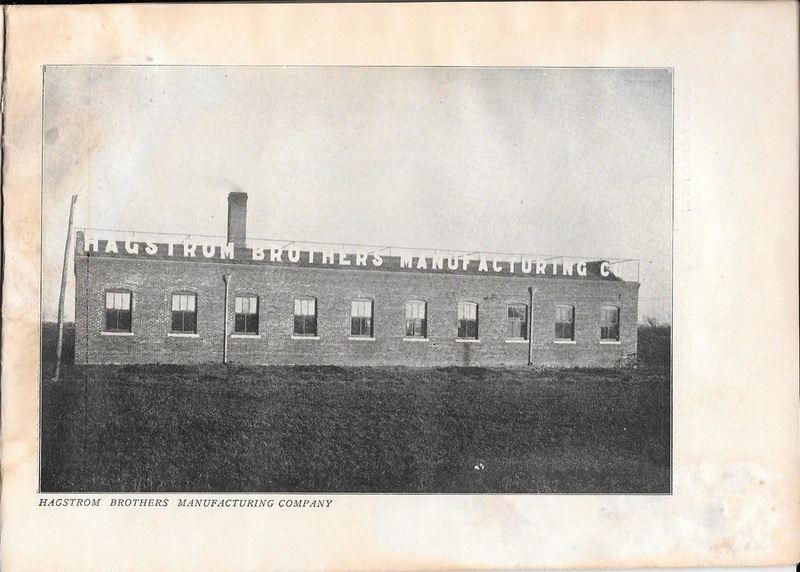 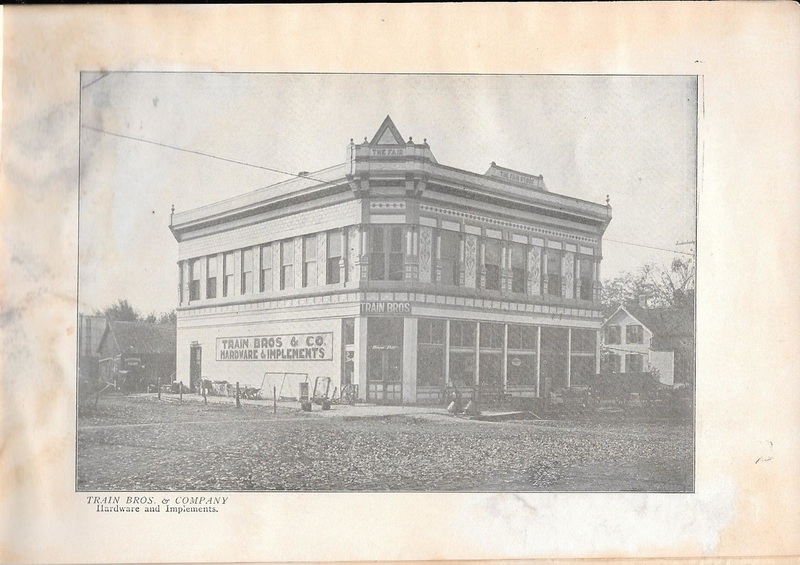 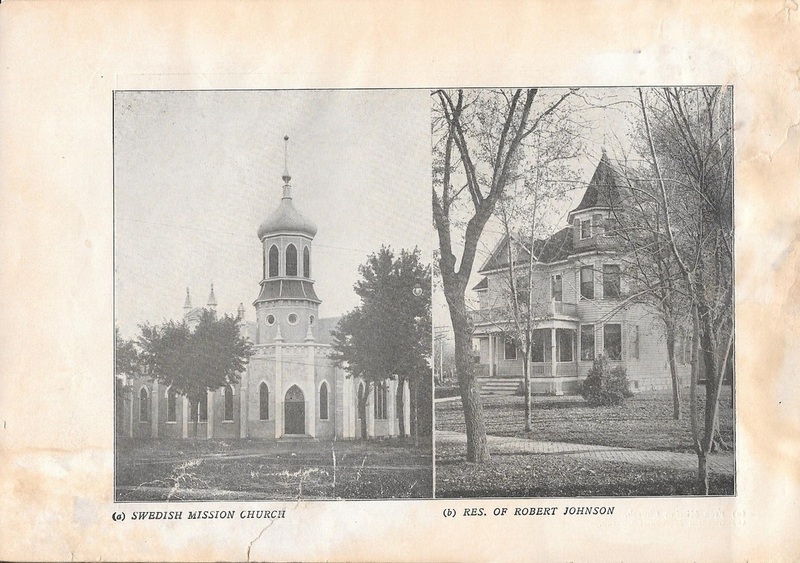 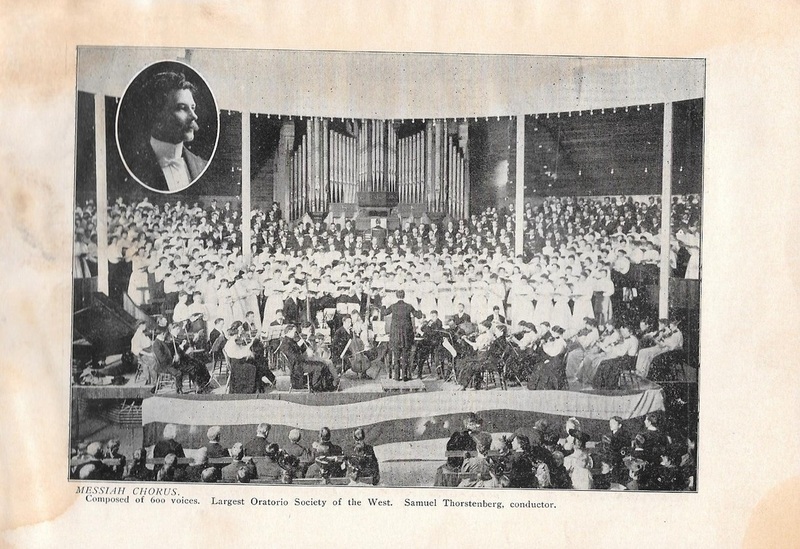 The following photographs and information are from Emil's Souvenir of Lindsborg and Bethany College which was copyrighted in 1907. 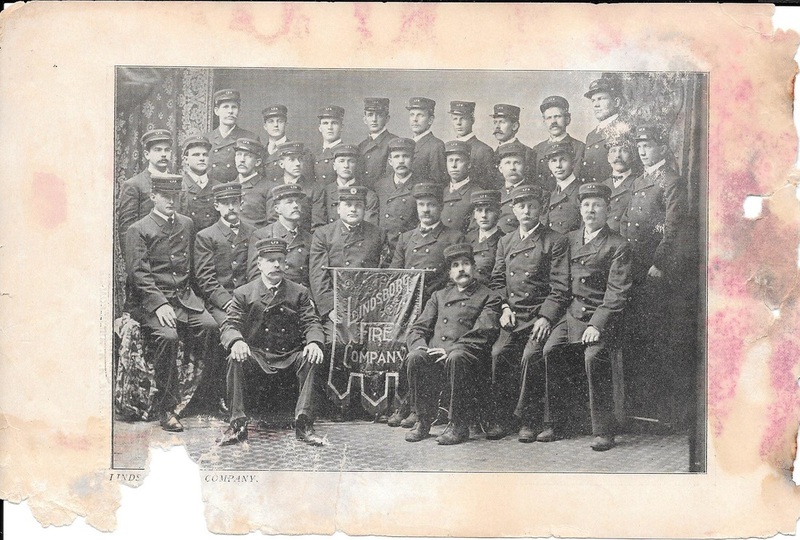 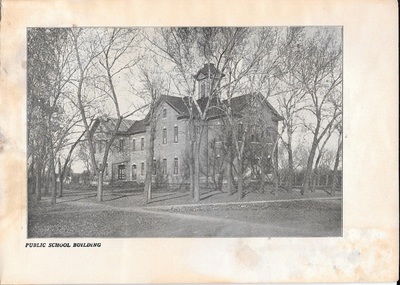 It shows the first 25 years of the development of Swedish Lindsborg which was founded in 1869, and Swedish Bethany College which was founded in 1881. 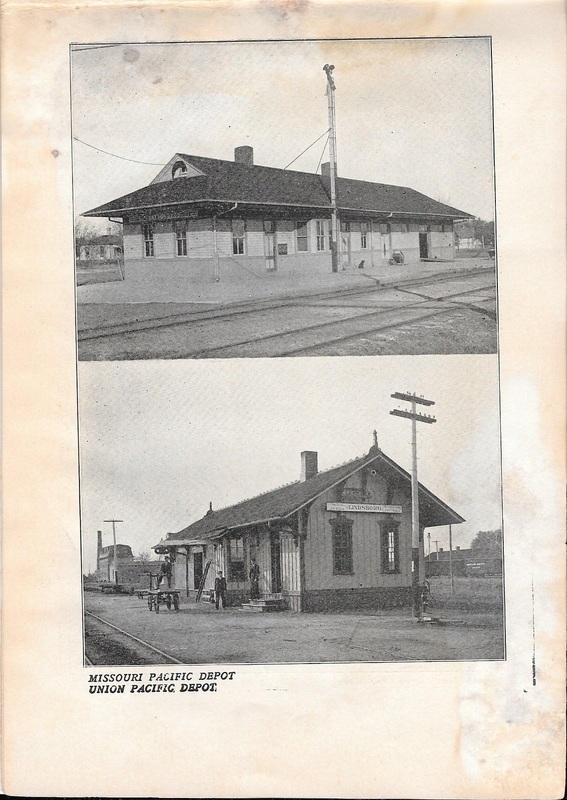 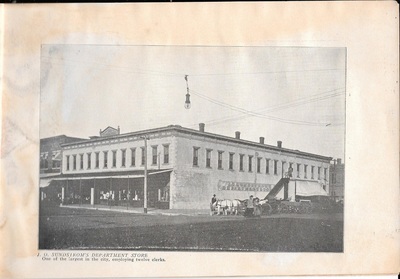 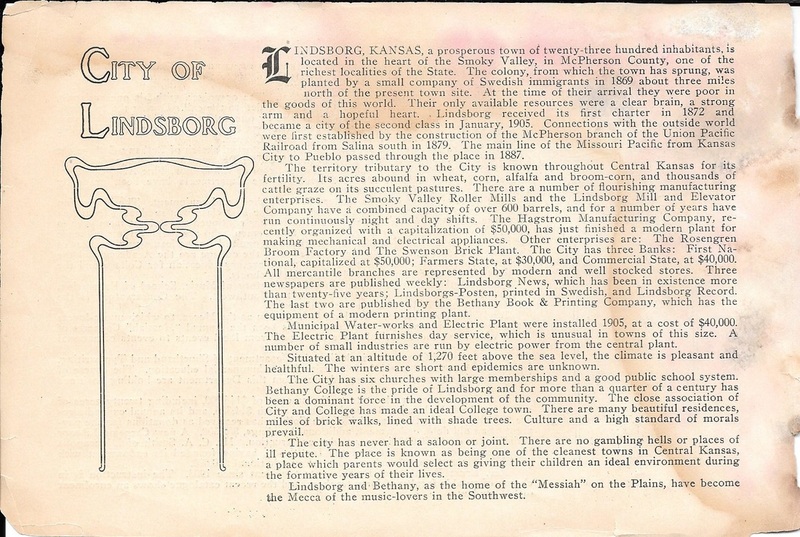 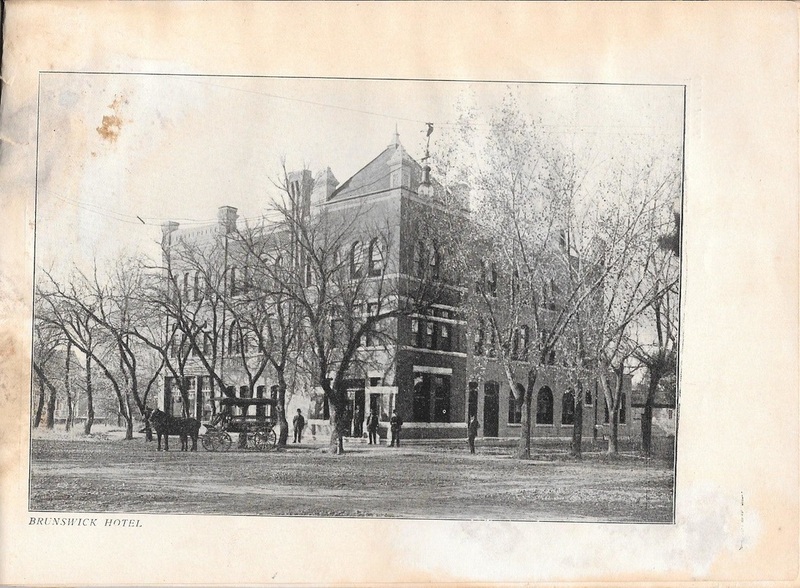 According to the Wikipedia's historical population report for Lindsborg, it grew from approximately 500 to 1,800 during this time from 1881 to 1906. 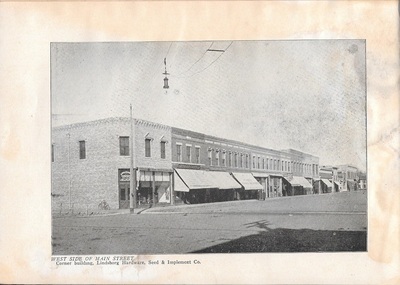 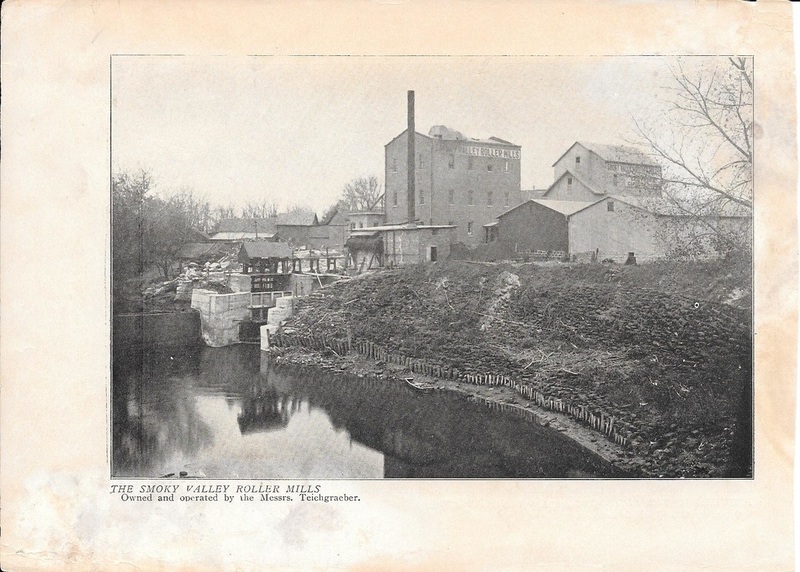 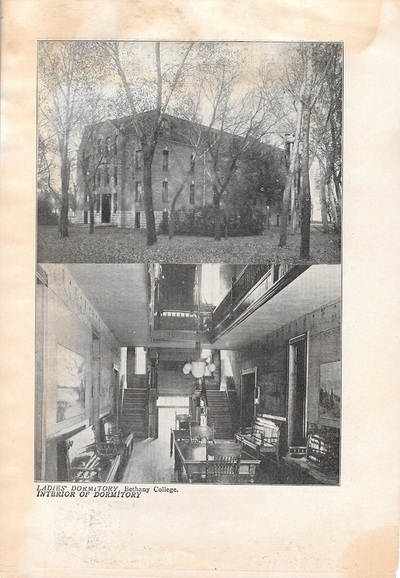 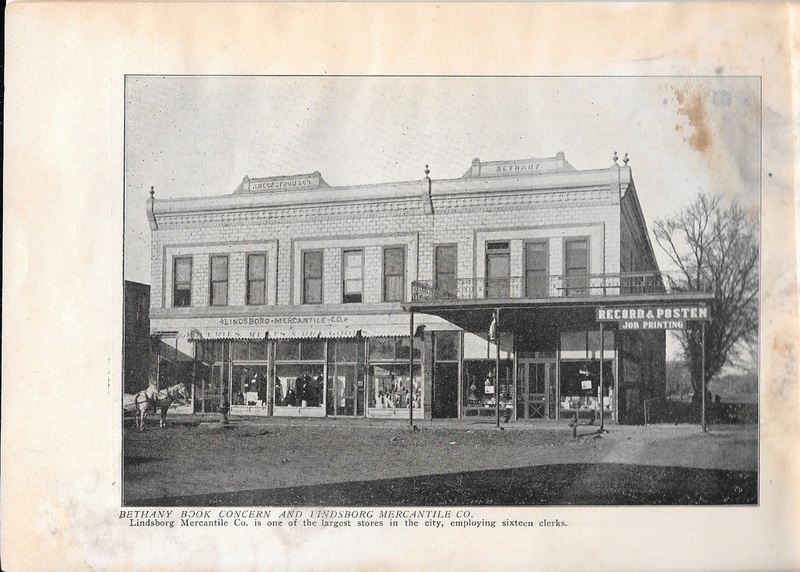 At the end of this period, in 1906, Lydia left her millinery business in Lindsborg, and had begun her Bethany College Lane Hart Hall job as Matron and Lady Principal, also referred to as Dean of Women and Matron, of the ladies dormitory. 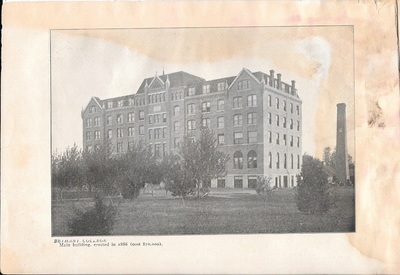 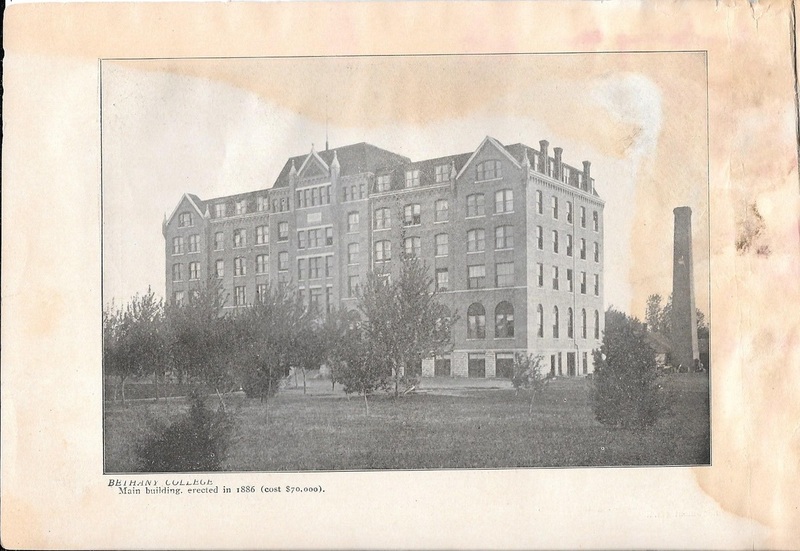 In 1899, Emil had begun to finish his college studies at Bethany after leaving the Agricultural College in Manhattan, Kansas (Kansas State University). 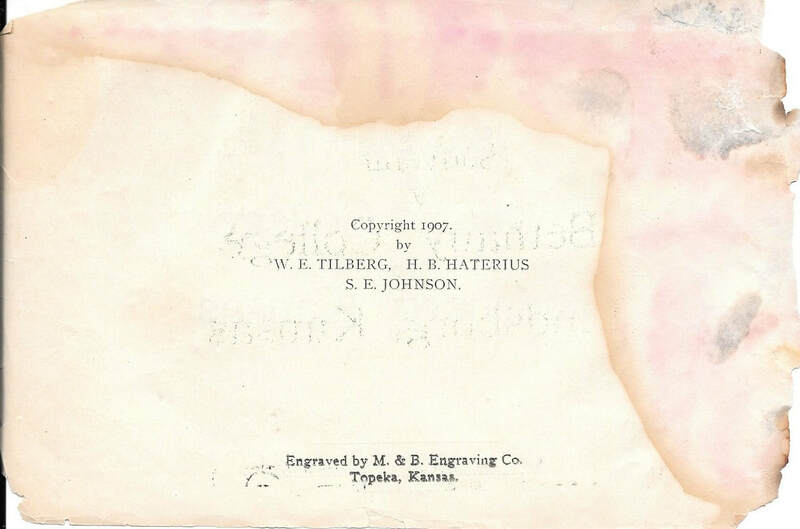 Considering its condition, this document nearly made it to the trash but did not fortunately due to all the good information it reveals. 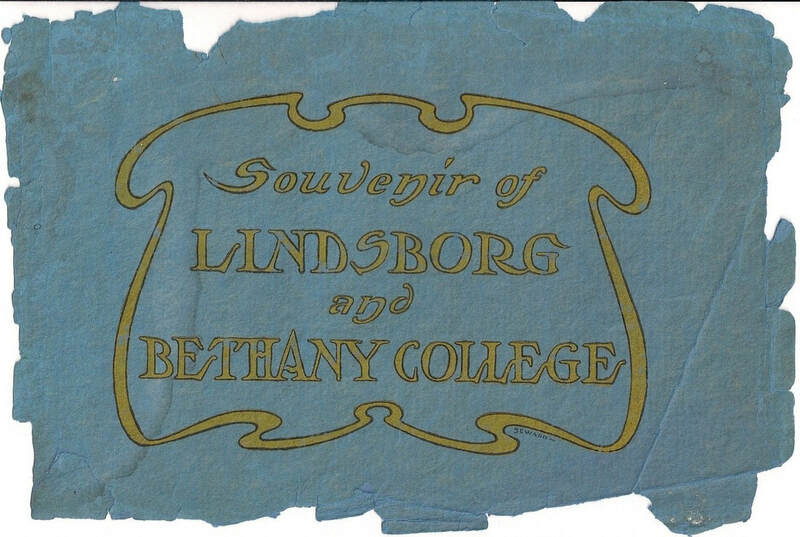 It especially illustrates the evolvement and cohesiveness of both Swedish Lindsborg and Swedish Bethany College forging ahead to make a new life for themselves in a new and wild territory of America. 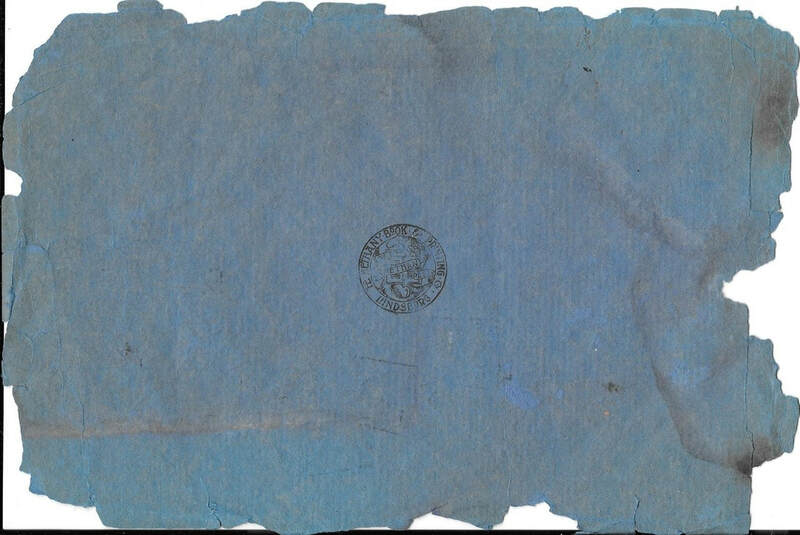 Below is the entire scanned document. 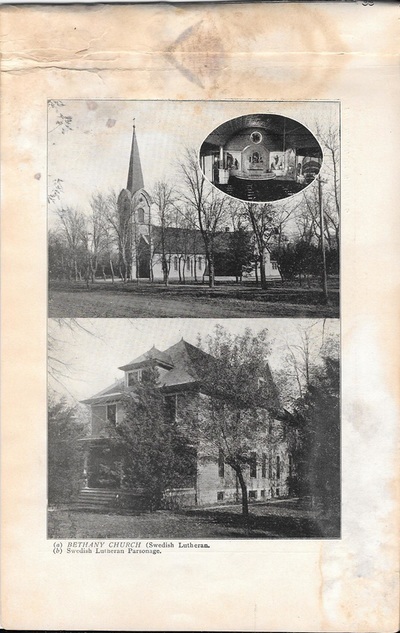 2nd to last sentence on page should read: Rev. 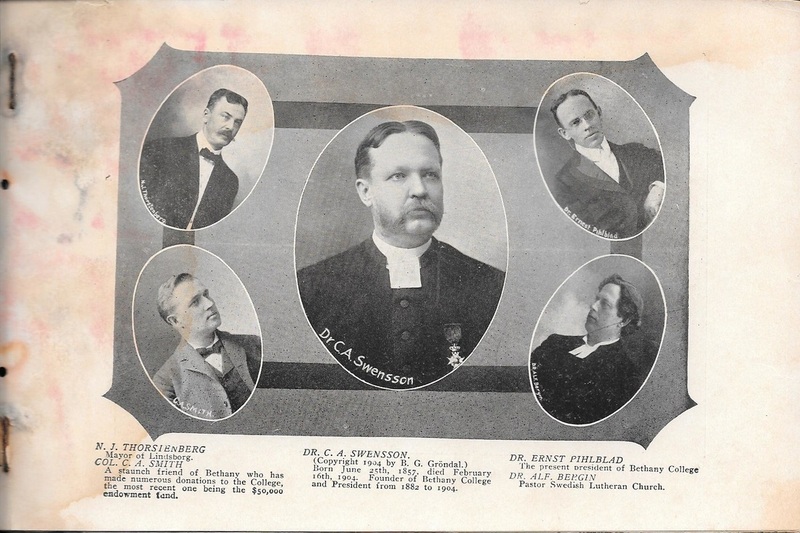 Ernst F. Pihlblad, D.D. is its president since 1904, NOT 1903. 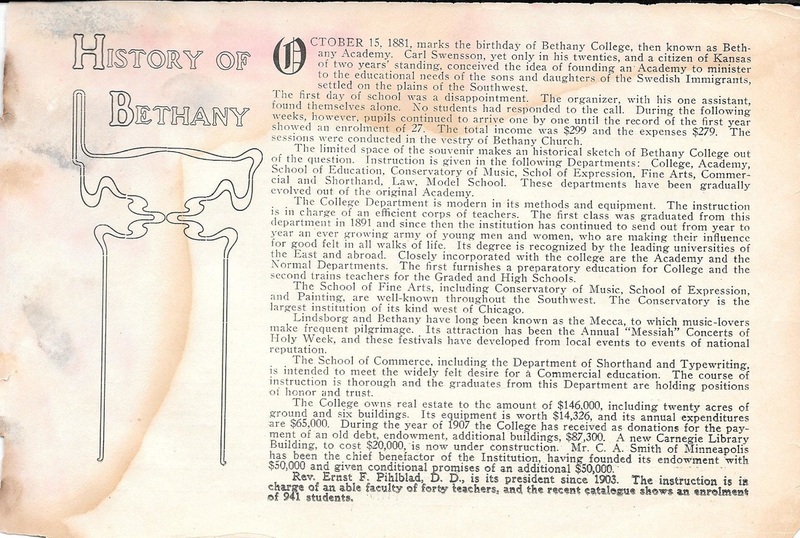 To go to Their Celebrating 100 Years of Bethany College,1881 to 1981, click HERE.